The Haas Lifestyle Collection has two main door styles. 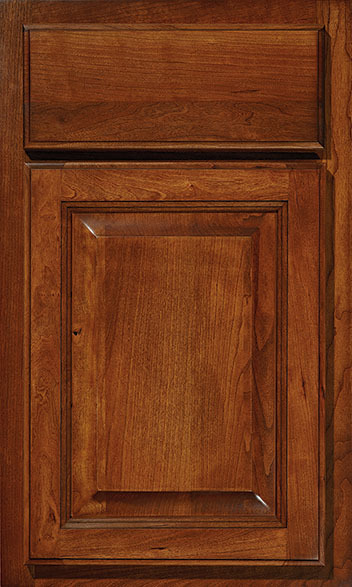 To browse each of the many offerings within each door style, click on the images below. Door styles with full overlays will overhang the front frame by 1-5/16", leaving 3/16" of framing exposed. If two cabinets are installed next to each other, there will be a 3/8" gap between the door edges. In order to accommodate crown and bottom moldings, we leave 1/2" of frame exposed on the top and bottom edge of full overlay door styles. Full overlay door styles are more contemporary, popular on the east coast, urban settings, and coastal areas. Door styles with traditional overlays will overhang the front frame by 5/16", leaving 1-3/16" of framing exposed. If two cabinets are installed next to each other, there will be a 2-3/8" gap between door edges. 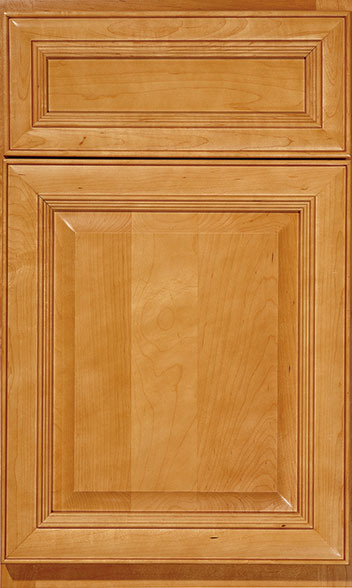 The partial overlay door style is a more old-world, conservative method of building cabinet doors and is very popular on products sold throughout the Midwest.